As a hosted IT Service provider, Focus Technology Solutions delivers a combination of traditional IT functions such as infrastructure, applications, security, monitoring, storage, web development, website hosting and email, over the internet. This approach enables our clients to consolidate and outsource most of their IT needs. Having Focus Technology Solutions host services such as Web Sites, DNS, Spam Filtering, Mobile E-Mail, or BlackBerry® Enterprise Server allows you to focus your equipment purchasing on mission-critical applications that need to run locally to be efficient. We host these services from a very reliable, always operational collocation facility in Somerville, MA. This facility allows us to guarantee hosted services never go down. In addition, some services such as anti-spam and DNS hosting have redundant servers in multiple locations to improve both uptime and performance. 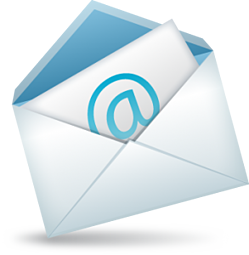 Hosting your e-mail account with Focus Technology Solutions allows your organization to enjoy the same amenities of premium e-mail services without having to host the service yourself. We provide customizable configurations and support for a large number of accounts. Hosting e-mail also allows you to attach your own domain name to your organization’s emails. Let Focus Technology Solutions handle your Microsoft® Exchange Server, giving you one less thing to worry about. Implementing Exchange allows your organization to sync contacts, emails, calendar events, and other items across a multitude of platforms. Your employees can even access their work emails through a web-portal while at home or on the go. Most spam is simply unwanted advertising, but some can transmit viruses, adware or spyware onto your computer and cause problems. An effective anti spam program can solve many of your email problems. Focus Technology Solutions provides you with a domain-wide spam filtering service. This service uses a rule-based, e-mail spam identifying system and custom anti-spam software. With this type of filtering, we compare the message against a list of “rules” that identify words, phrases and/or aspects of message structure typical of e-mail spam. 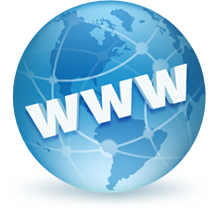 Here at Focus Technology Solutions, we offer your company the ability to have your Web site hosted on our servers. We provide a comprehensive, reliable, always on solution for your Web site needs. Our Web hosting services include support for HTML, XML, ASP, PHP and many other Web platforms. Our rates for these services are competitive and include data backup, web site monitoring and the peace of mind that your hosting company also supports your other servers, workstations and infrastructure.